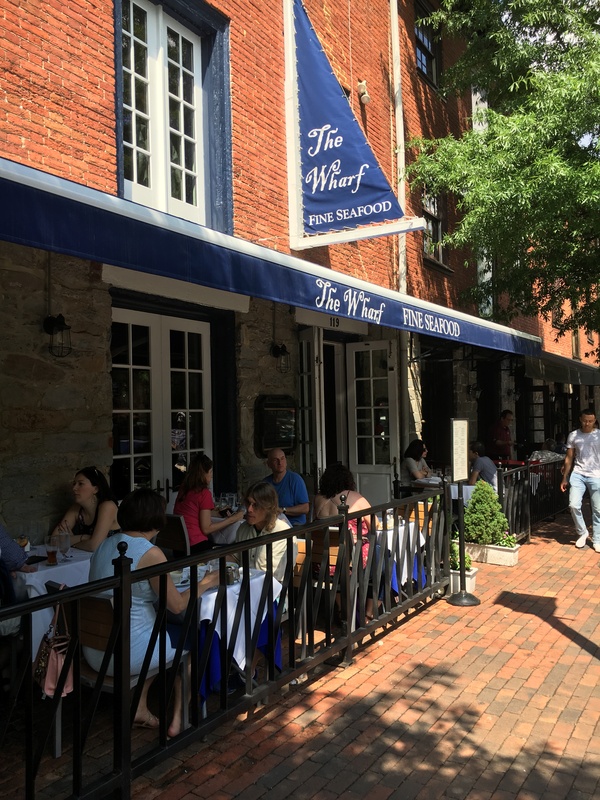 With nice weather finally here, we thought it a good time to check out some of our favorite outdoor dining venues in and around Old Town Alexandria. The phrase “al fresco” is borrowed from Italian for “in the cool air”. Warm days and cool evenings make for a unique experience when it comes to outdoor dining. Located down the George Washington Memorial Parkway you will find Cedar Knoll Restaurant housed in a historic building built in the 1800’s. The restaurant is situated on a small knoll allowing for panoramic views of the Potomac River. 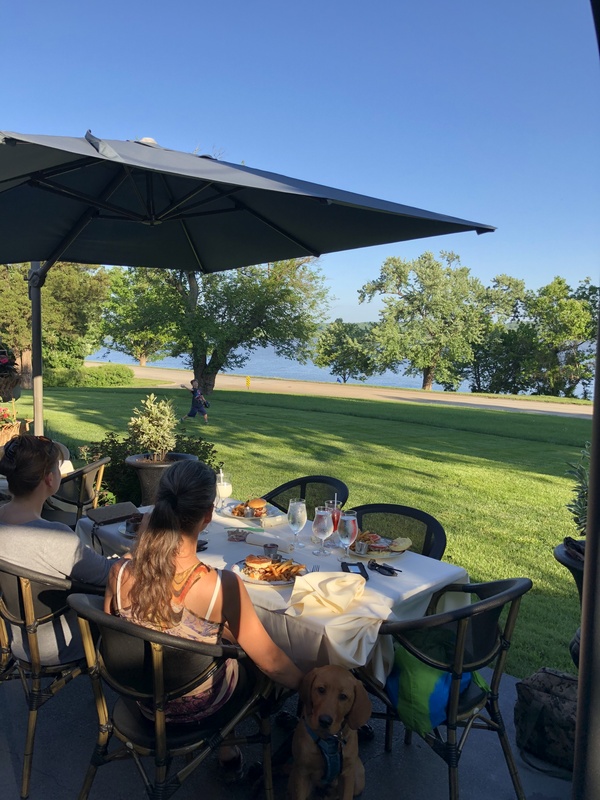 Cedar Knoll offers a great selection of wines and seasonal fare including their smoked duck crepes which pair nicely with a rose wine in a beautifully appointed period restaurant. The full- length patio offers beautiful views and excellent dining. Brunch is offered every Sunday. 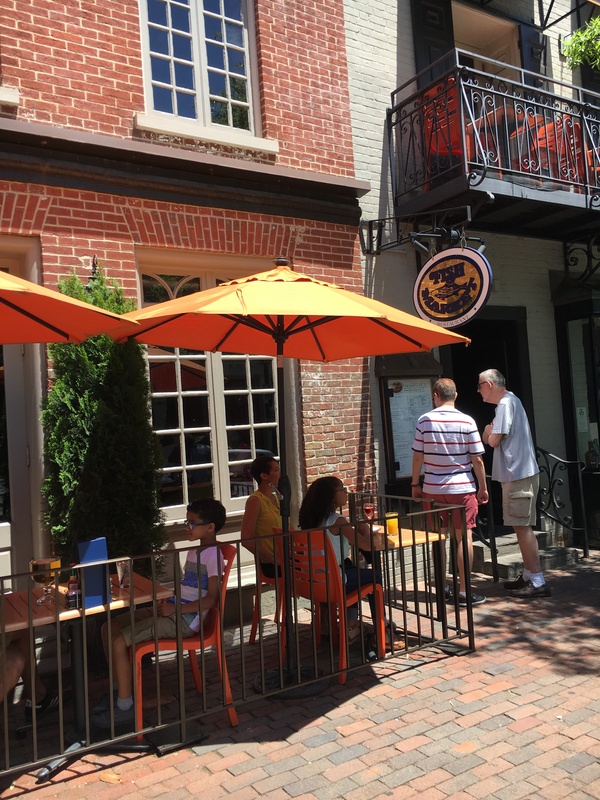 In Old Town you will find Union Street Public House located at 121 South Union Street. 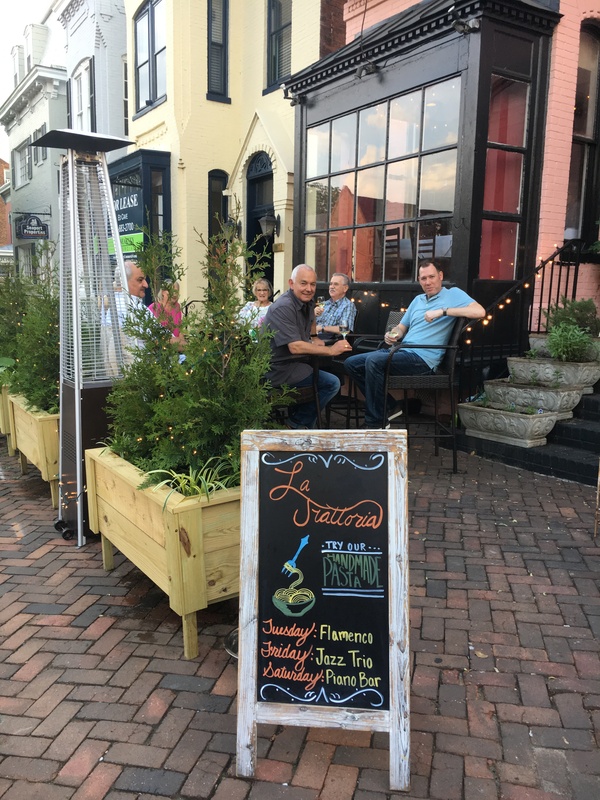 Offering great food in a stylish setting, Union Street provides al fresco dining on their intimate second floor patio overlooking Union Street. Enjoy seafood and grilled meats at this upscale American eatery which also offers a dark wood tap room on the lower level as well as a newly renovated Whiskey Bar which is open Wednesday through Sunday evenings. 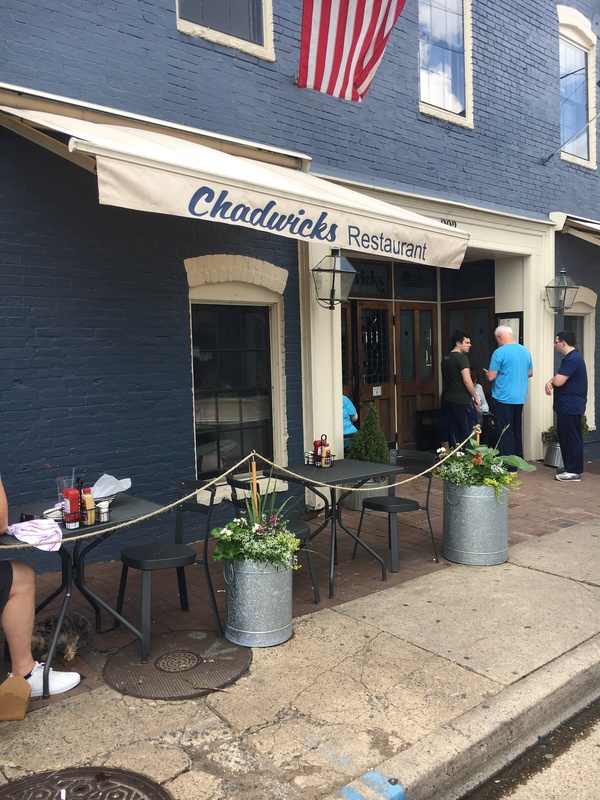 Located at 203 Strand Street, Chadwicks is a true D.C. style restaurant offering the best in casual dining and arguably offers one of the best brunches in town. Chadwicks features a neighborhood bar with English pub décor, happy hour, burgers & American fare. Their patio is directly out front and looks out on the newly built Old Dominion Boat Club. Located at 105 King Street, the Fish Market will be the first of several al fresco dining options on Old Town’s most famous promenade. 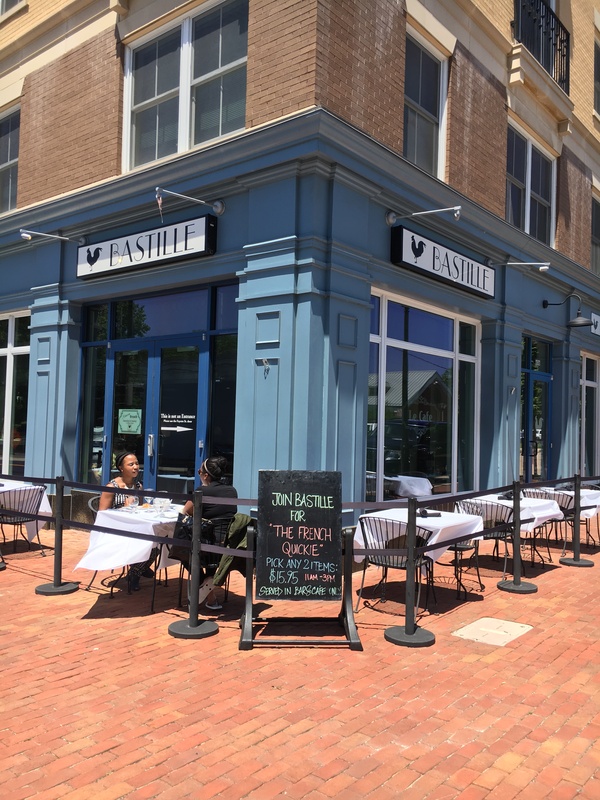 The Fish Market is a modern eatery serving Chesapeake-style seafood in a renovated warehouse that is over 200 years old. The fish Market has two patios…one right on King Street and the other on the second floor looking over King Street providing a great view of all the action. 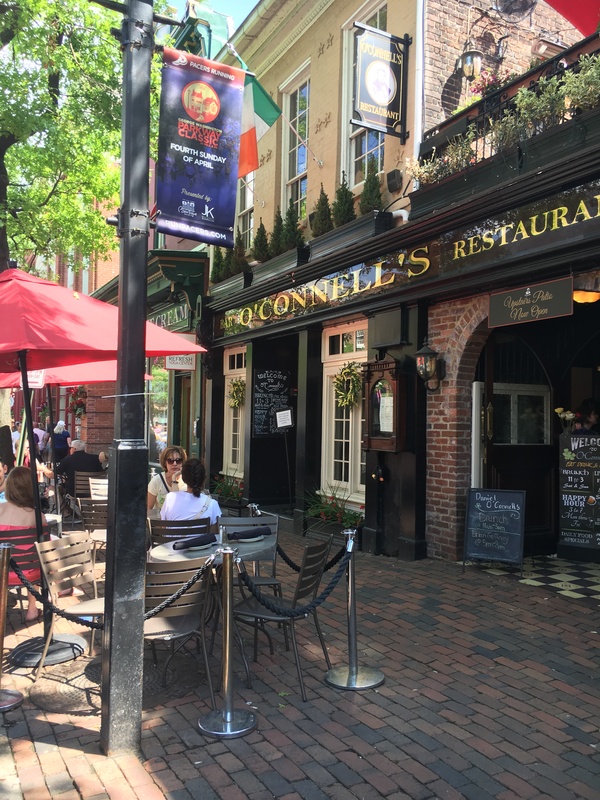 Located at 112 King Street, O’Connell’s is an elegant Irish pub offering TV sports, including rugby, live music and an antique décor. Indeed, when the lads started the build out of O’Connell’s they brought all the antiques they had collected from monasteries, castles, and estates in Ireland. 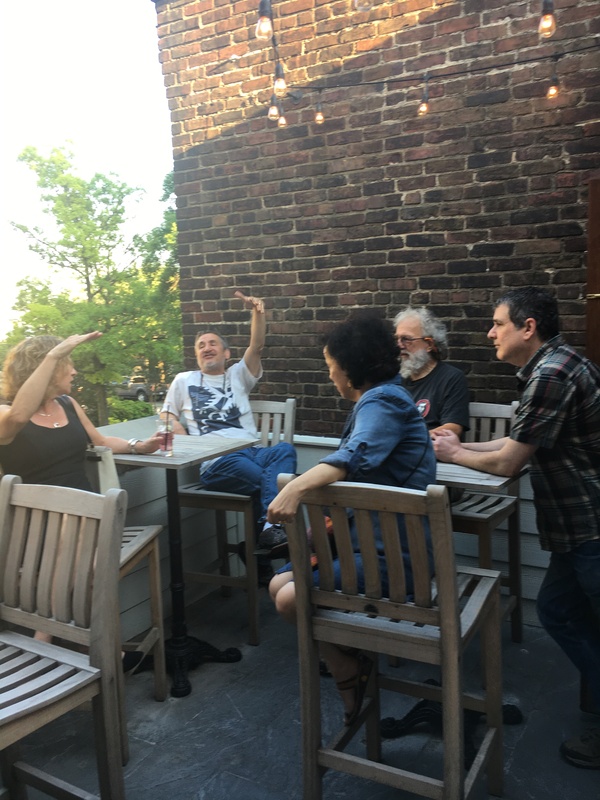 Like the other restaurants on King street, their al fresco dining occupies part of the city sidewalk offering a ring side seat of all the action. There is also a patio located on the second floor that offers a nice view of King Street. With a hearty Italian menu, a dimly lit space with exposed brick and stone, this classic has been drawing local notables for years. 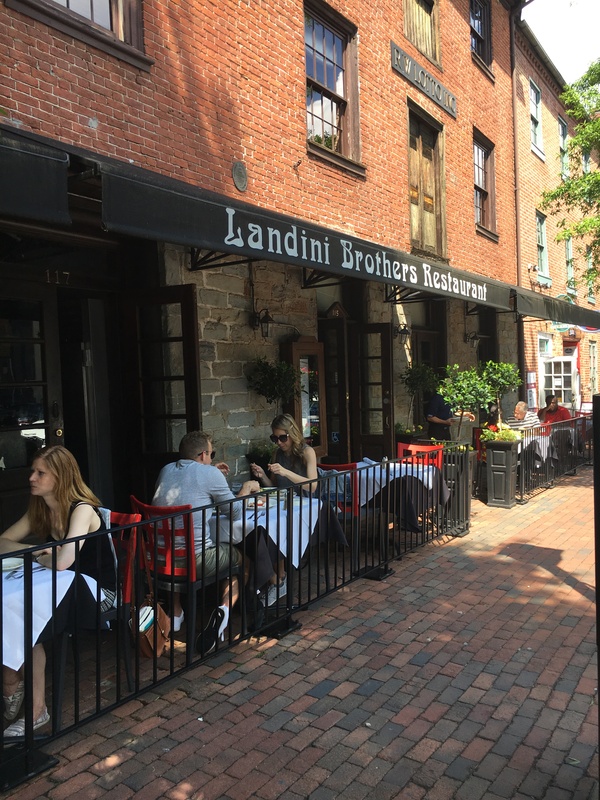 All the buildings along King Street were once warehouses along the docks of the seaport community and the interior of Landini’s reveals that heritage better than any other. Their al fresco dining is up against the building and sharing the sidewalk with locals and tourists. Landini’s is located at 115 King Street. Located next to Landini Brothers is the iconic Wharf Restaurant. The Wharf also reveals its’ warehouse heritage and offers contemporary seafood dishes in a nautically themed restaurant. With its 1790’s style architecture featuring original wood columns and beams that are charred from Civil War fire, history has indeed been written on the walls of this building. Their al fresco dining is also along the sidewalk. 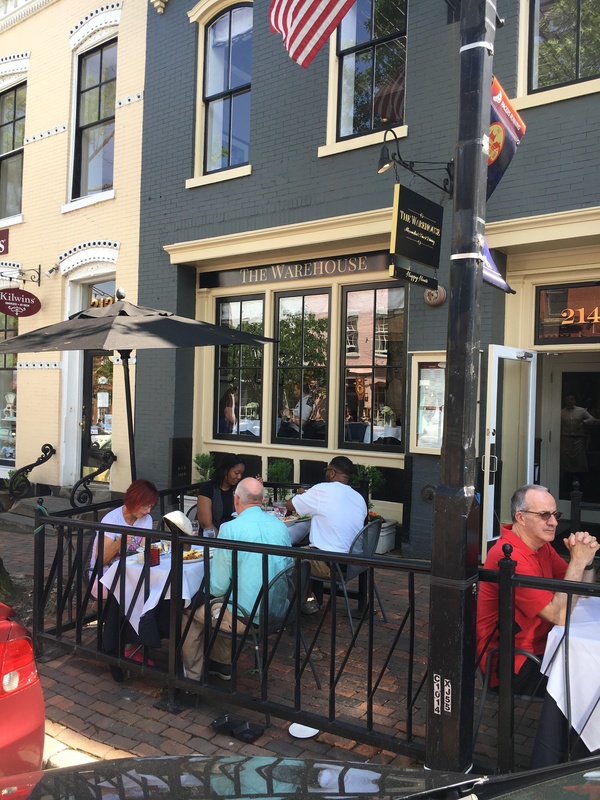 Located at 214 King Street, the Warehouse offers steak, seafood and other American dishes served in a casual yet elegant historical space that features caricatures of the local gentry on the interior walls of the historic building. Brunch is served on both Saturday and Sunday. In addition to their steaks and seafood, The Warehouse also offers Cajun and low country cuisine. Their patio is also located on the sidewalk. Leaving King Street and heading north you will find T.J. Stones at 608 Montgomery Street in North Old Town. T.J’s is a relatively new restaurant to Old Town with classic fare and a global wine and beer list. House smoked specialties, satisfying comfort foods, and over 300 different wines and beers, this is the spot to spend the afternoon al frescoing the day away. This chic brasserie with patio, bar and all-day café serves modern French fare and international wines. Bastille creations are sparked using seasonal, locally sourced and farm fresh ingredients. 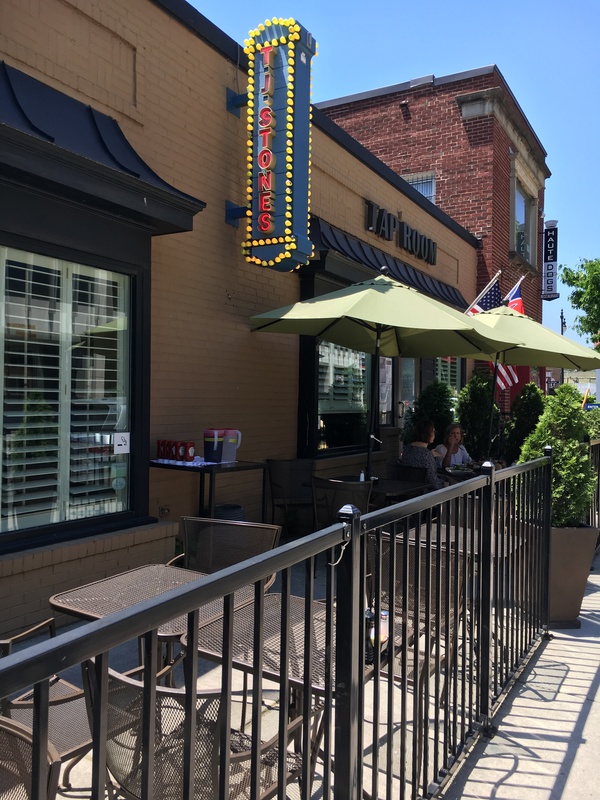 Not only does the restaurant offer a patio tucked against the building rounding the front corner, but there is also a dedicated patio out back where many of the locals spend their time. Bastille is located at 606 North Fayette Street. Located at 305 South Washington Street, La Trattoria offers rustic, yet elegant Italian cuisine. La Trattoria has been recently renovated inside and out. The bar area has been made more user friendly and the dining area has received an uptick. The clear winner however, was the patio. Cleaned up and with new shrubbery as well as new high-top tables, this is the perfect spot to sit for a drink and a cigar and watch the world speed by. The food is darn good too! Think out of the box in June and try one of these fine restaurants for your al fresco fix. Wave, smile and enjoy now before the summer heat arrives.